We enjoyed 2 wines: a Titus 2008 Napa Valley Petite Syrah and a 2010 Kirkland (surprise) Napa Valley Chardonnay. Rotarians-at-Work Day was a big success. We transferred plants from plastic to permanent planters in Balboa Park. We did more than have a lot of fun and perform a needed service. We also introduced 3 guests to the good things that Rotary does on a daily basis. Remember that we are now on our new, hour of power schedule. Social hour begins at 11:30, and the meeting begins at noon sharp so that event can be wrapped up by 1:00. Please arrive by 11:45 if you want to order an off-menu item. We’ll have a board meeting next week. 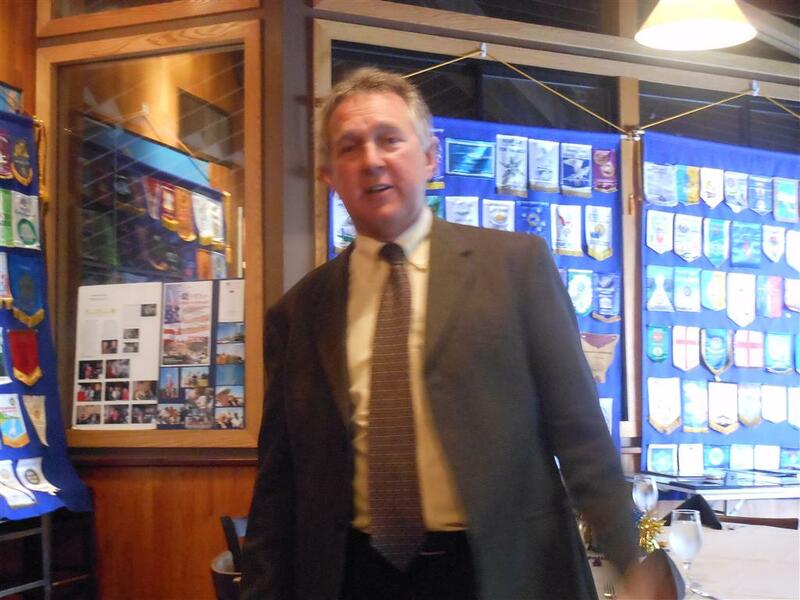 Our speaker was George “Woody” Clark, who spoke to us about the use of DNA evidence in the justice system. Judge Clark was one of the prosecutors of O.J. Simpson, so he has been one of the first passengers on this train. If you missed his talk, you missed a good one.